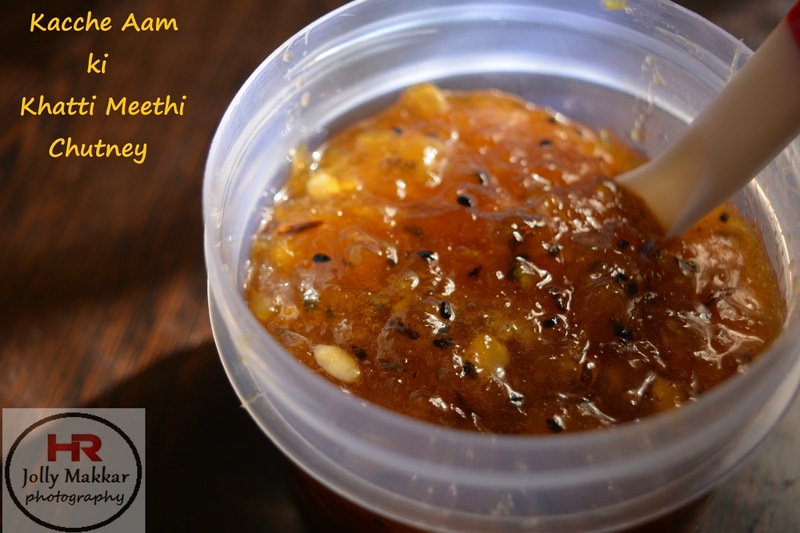 Kacche Aam ki Khatti Meethi Chutney with step by step recipe - This is quick, easy and yummy mango chatpati chutney. This is also called Aam ki launji. 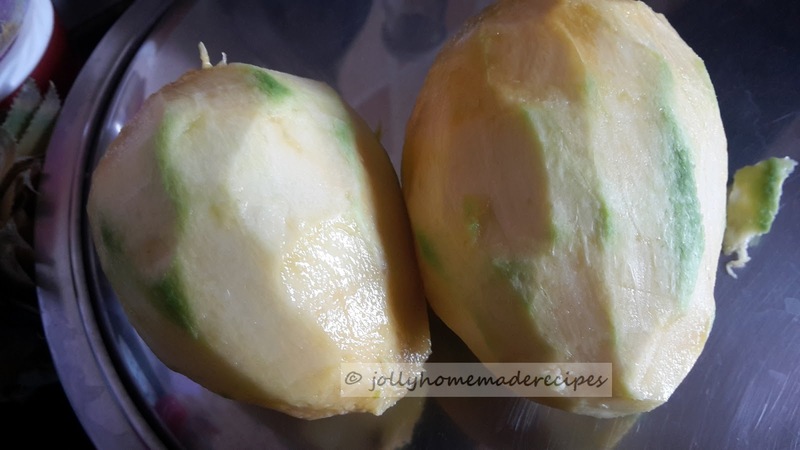 This recipe is a must make when raw mangoes are in season. 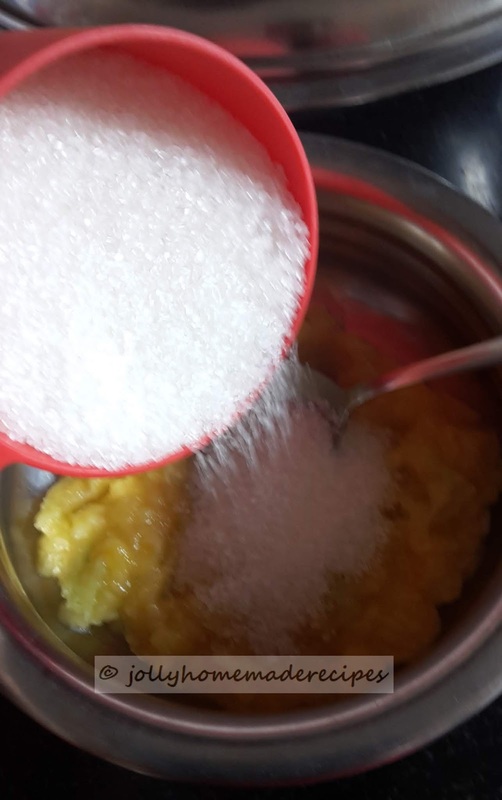 Aam Ki Launji is a sweet and sour relish made using with raw mangoes and sugar (i have made with jaggery also as well sugar too) but this recipe is with sugar only. I have used various Indian spices such as kalonji (nigella seeds), heeng, saunf(fennel seeds) and red chilli powder. You can make a big batch and refrigerate it for a few days and keep enjoying with your daily meals. It can be preserved for 2-3 months if you keep in the fridge. Mango chutney is really easy to make as well as very tasty. There are different recipes to make this chutney in every household and with a little difference here and there, the taste changes slightly. This is my Badi Mummy recipe(means my tai ji) she used to make all preserves at home like jam, chutney as well tomato ketchup too. Her way of making launji is different she used to add grated mangoes (not used whole mangoes) so I have adapted her full recipe. 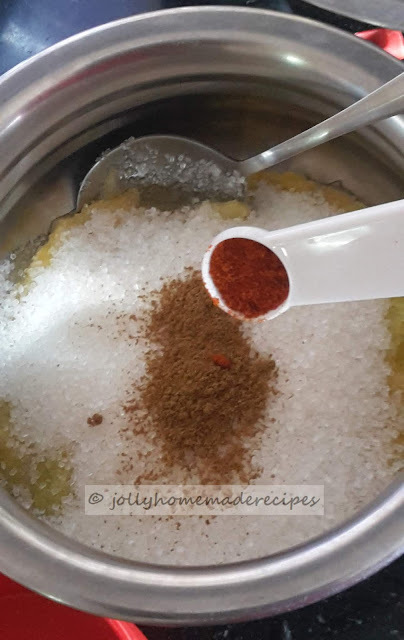 Aam ki chutney are made by keeping the mango-sugar mixture keeping in a jar for one day on a room temperature and then next day cooked on stove top. Serve aam ki chutney as a side condiment with any meal or you can also have it methi paratha, poha missi roti, poori and many more. Mango chutney is a delicious vegetarian side dish. It is famous North Indian style chutney which goes well with all savory dishes. 1. Wash and peel some raw mangoes. Grate them . 2. Place them in a bowl and add sugar. Also add salt, cumin powder, red chili powder. 3. Combine everything thoroughly and cover it with a lid and keep it aside for one day ( overnight - no need to keep in a refrigerator) at room temperature. 4. Heat oil in a pan. When the oil is hot, add heeng, kalonji and saunf. 5. Fry for a few seconds and then add the raw mangoes mixture.Stir it for fifteen minutes until it thickens and attains single string consistency. 6. After one boil add the musk melon seeds. Cook for another minute. 7. Let it cool down and transfer it to a glass container. Store in fridge, remains good for months. 8. Serve aam ki chutney as a side condiment with any meal or you can also have it methi paratha, soft plain dosa, poori and many more. Slurp slurp, my mouth is watering here. How delectable this chutney is na.. Too tempting to the core. Lipsmacking here. This is like making the Gujarati chundo except that we don't add any kalonji. Such a versatile chutney, can have it with anything right from parathas to rice. Perfect texture, color and shine!!! Love chundo and this chutney looks so delicious! I make the same way except adding water melon seeds.. I only add onion seeds. This goes so well with puris and stuffed parathas. The chutney looks absolutely delectable ..we do make a similar raw mango relish and call it kayras in Marathi..we use jaggery in it as sweetener and fenugreek seeds for tempering . Wow ! the recipes looks yummy and tempting.Thanks for sharing this easy-looking recipe. I MIGHT try it sometime soon. This looks so delicious, it tastes good with any snack also. At least once a year I too make Aam ki Launji in a small quantity. I like the idea of adding musk melon. yummm Amm ki launji. Love the colour and the sheen on your launji. This pickle recipe is so lovely , it’s our family favourite. I love your version and the simplified instructions. yummy yummy drooling here. This year I did not make launji. :( but next year will surely try it out. this is the yummiest chutney of the world. My naniji used to make this and we had with parathas. Really mouth watering and feeling like having now. Omg, this is so yummy. We can enjoy this with paratha also. I am already feeling hungry.